I haven’t always been a BIG admirer of VW. In fact, I have used 2 VW company cars, and for me the VW Polo was just that. A company car, I didn’t feel a lot of love for, that got me from A2B quite quietly and with not much fuss. I did enjoy the little black 2008 1.6 Polo Comfortline I got to use for a time, it had electric windows and drove very well. I still was never moved by them entirely. Enter SA Buyers Guide.com which was purely started to help you find what you need, a lot quicker in terms of cars or gadgets or even every day household products like a kettle. Starting this website for you, has meant that I go out nearly on a weekly basis and try to find cars that make sense. Both from a cost point of view, safety, efficiency and overall Fun – because I do believe that cars and other great products, can make your life better! If you dispute that point, think about when last your own car made you happy? 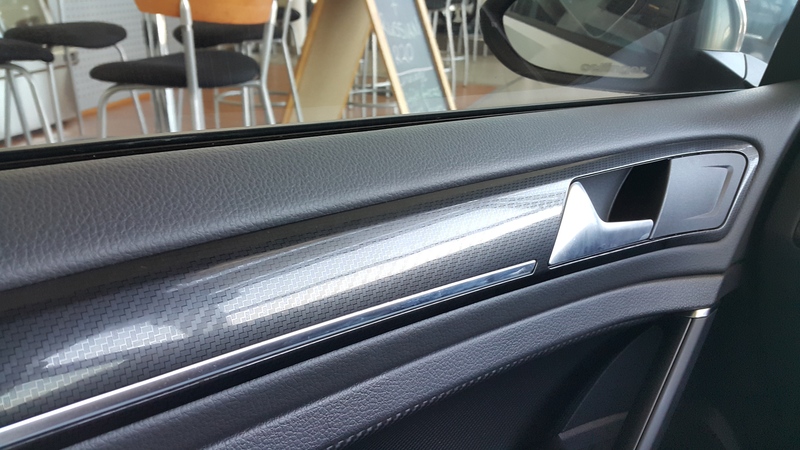 I would buy this car, based on the thin blue light – on the interior drivers door sill. In this never ending pursuit of awesome to use, great cars – I came across the VW LR 400 (294 KW) through a friend who we can call Mahomed. We can call him that, because that is in fact his name. He told me about going on a test drive at Lindsay Saker Edenvale with Fabio Lazzari, and how after going home he couldn’t stop thinking about this machine. After heading over to see Fabio and team, I was astonished at the passion and performance of not only the car, but also the people that work there. In every single dealership we have been to so far, you can pick up a vibe, which runs from the Management team, down to the people wiping down the cars on the dealer floor. I cant emphasize the importance of dealing with competent people enough, when you decide on buying your car. In this instance, Irfaan has called me daily to check up on my own personal request (more on that later this month), but also to check on this very blog post progress. Irfaan is on the ball! Lindsay Saker VW Edenvale is next to Greenstone Mall in Edenvale. If you pop past – entrance is on 1 Stoneridge Drive, Greenstone Hill, Edenvale. 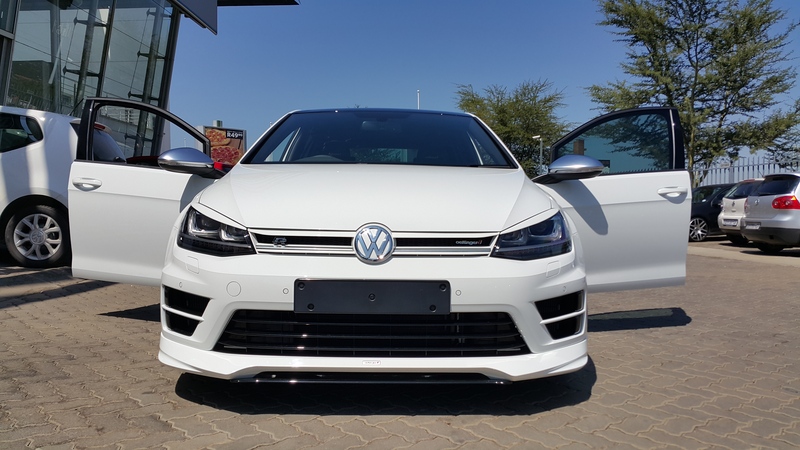 If you are a car fanatic, you may know the capability of the Golf 7 R. It is quicker the current GTI for those of you that don’t know, this car is also all wheel drive. The suspension is still surprisingly soft, so that you can go around at bend on the track at 160 km/hr without giving your dads Orthopaedic surgeon a call. It is truly an amazing piece of machinery. What is even more impressive is the kit that makes it look very different from a standard Golf 7. If you asked this car what it wanted to be when It grew up, it would punch you in the face and then race off into the sunset like Bravestar. 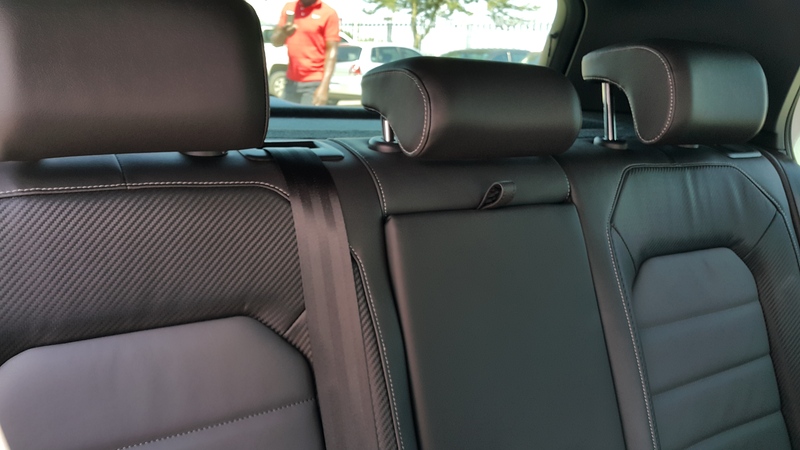 Back Seats – Even the seats look fast here…. There are three types of people who will buy this car. Firstly – entrepreneurs, who run their own business and need to attend business meetings, daily, all day, until they get their empires set up and running properly. The other type is a guy like my friend Raben. He works in IT, says nothing to anyone, unless spoken to, but really let`s loose when he is on the road heading home or even to work for that matter. My friend Matthew (Major Accounts Manager), mentioned that he likes fast cars. The question is why would you want a fast car, when a lot of the time in Johannesburg, we sit in incredible traffic? Anyone in sales, or accounting or even consulting – will know that 15 meetings in 1 week can drive anyone to tears. The reason why Matt and Raben need a fast car, is because they are highly driven people! They push through, do hard work, study and work full time. Push weights that are heavy, and even heavier excel sheets and daytime work Business analysis! They are committed to delivery to clients, and to ensuring that the customer feels comfortable the entire time through projects. Fabio Lazzari – to the right of the beast. In this, ladies and gents lies the rub. The VW LR400 (294 KW) will bring Joy to your life. 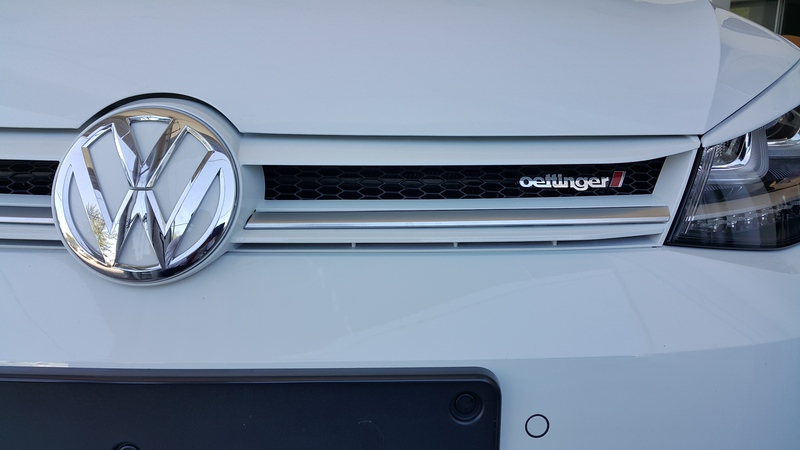 At just over R 750 000, if you can afford the big price tag it costs to upgrade your R to the Oettinger spec level, I recommend highly that you do it. Life is very, very short. Particularly if like us, you live in Jozi. Anything can happen at any time. Right now, a life insurance salesmen is licking his lips to these words, but here comes the spinner. I am 32. I work in Business Development Management. A week with 20 meetings in them, can and will happen to me on a frequent basis. I drive a BMW 320 D F 30, because I feel safe in it, it is pretty quick to get to all those client meetings and I also quite like how it looks. The speed in the car is immense, but all the while the cabin is quiet. The only noise you hear, is yourself giggling like a little girl watching 1 Direction on stage! The engine blurp, is composed more like a Sonnet than a rap song. It doesn’t attack your face like a BMW M3. 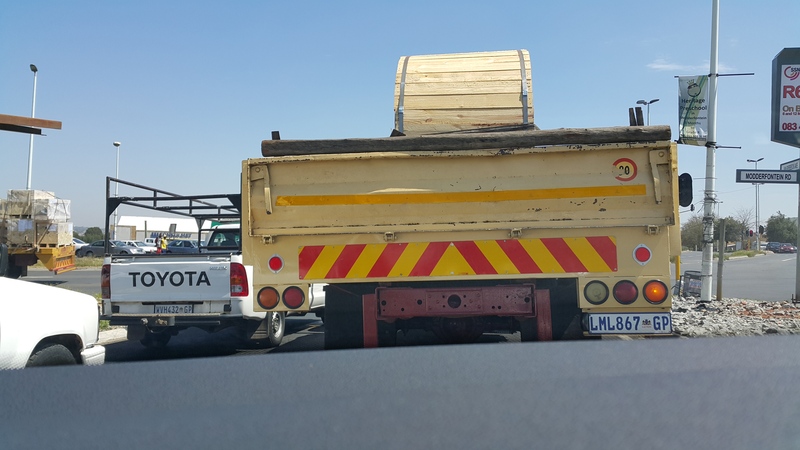 The VW LR 400 merely insinuates that at some point, you should brake, before you hit the truck 2 km in front of you. You will reach the back of the truck, quicker than you think. No fear, the brakes work on time, every single time! If you can afford the R 750 K as a young Doctor or CA or young Entrepreneur in IT security, then you need to buy this car from Irfaan now!!! It won`t make people hate you. In fact, I have seen more love in the world, since driving VW. As mentioned in my VW Up! Post, a lot of people saw the small VW and just smiled. VW makes the world a nicer place to be in. They don’t lie about what their cars can do and they communicate to customers (like me) in a way that is open and honest. If I could right now, trade in that BMW for the Golf I would (ducks laptop from wife-to-be!). 294 KW means nothing to you, especially if you don’t know much about cars. All I can say is, if you are taking the scenic route, while driving to Cape Town or Cairo, you will scenes flash past you very quickly. In future, we will post a video blog on youtube, with the car – the drivers and the Tarlton Race Track in April 2015. Hopefully my words will come to life, with a bit of video very soon! As mentioned with all of the extras on the car we drove included, it came up to R 750 000. Before you bat your eyelids, tell me about 1.4% GDP growth or the fact that the Rand is being beaten like Anastasia in 50 Shades of Grey by the US Dollar. Consider for the moment, that moment when you pull up to “Curry and All” in Rivonia Road, Sandton and all the boys & girls from Durban buying a bunny, turn to hear/see your car. The Price of the VW LR400 (294 KW) and the mutton bunny from Curry and All, will both bring a tear to your eye. But – just do both! All our thanks go to Fabio Lazzari – the DP from Lindsay Saker Edenvale, who is just as committed to customer service as he is about promoting the values of VW. Badge of Honour – Oettinger!! 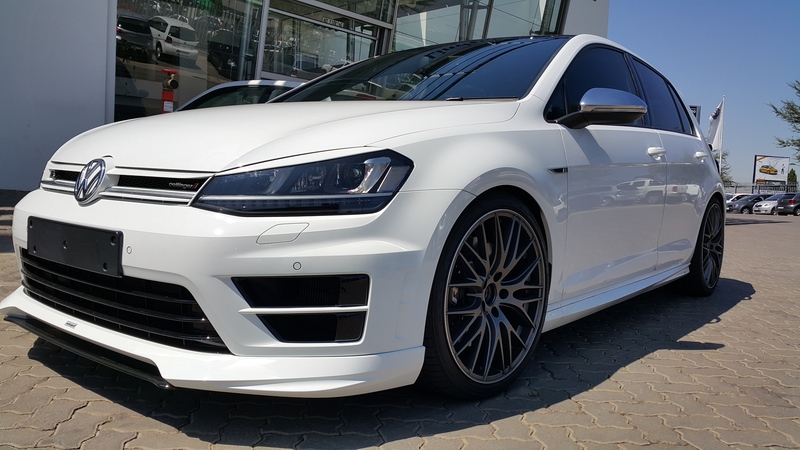 Lindsay Saker provide Oettinger for Golf GTI kits and Golf 7 R. They will share all details on warranties on the products they sell, and extended services on performance enhancement that they offer. Above and beyond most VW dealers in SA. 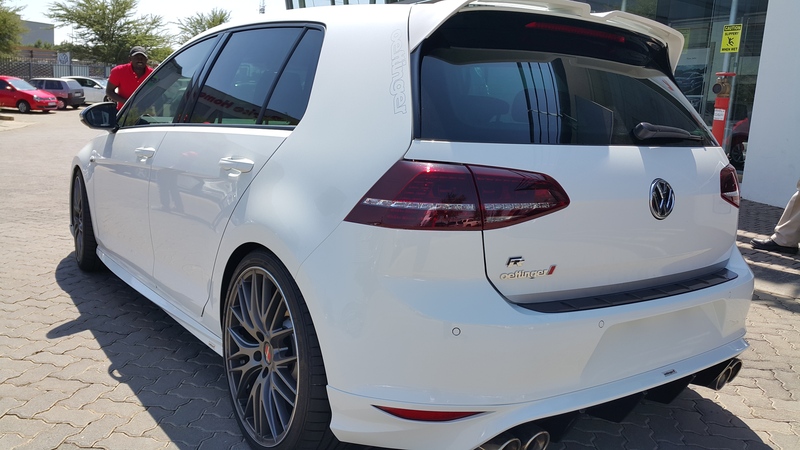 Oettinger Kits for the GTI sell from R 100 000, and 7 R from R 200 000 – for more info call Fabio. This entry was posted in Car Review. 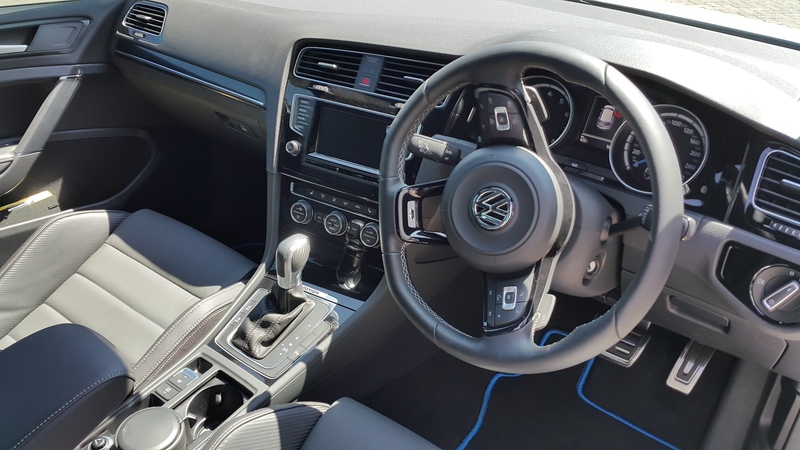 Tagged Car Review VW, Fabio Lazzari, Fast VW, Gauteng, Irfaan Razack, Johannesburg Oetinger, Lindsay Saker, Lindsay Saker Edenvale, Lindsay Saker VW Edenvale, Need for Speed, Oetinger, South Africa, Volkswagen, VW Car Review, VW R400, VW R400 Review. Previous Post Previous post: VW Up Part 2 – Gotta be Movin on Up! I am glad to see that you are finally re-considering your view about VW, they do produce awesome cars, one that would help a guy like me who is “‘lady shy”‘ the torque will say everything for you. Big ups to SA Buyers Guide for keeping us informed. Thanks Mpho for your support. Like I always say in my posts – each car defines which stage you are at in life. I had a Toyota Tazz – with only 4 gears and no aircon to start. We all start somewhere! Stay tuned this weekend – as I bring you the BMW I3 and I8, Ford Kuga, Nissan Xtrail and more on finance from Standard Bank! Can I also bring my R 7 n how much would it be? Hi Leckton, Chat to Irfaan and he can give you more details on the specs and pricing. We are just the humble blog, delivering the car magic to your phone, tablet and laptop screen. This looks like “the car”! Huge VW fan. Big ups to SA Buyers guys for keeping us informed. And as for VW… keep them coming guys. Thanks so much Mandy. Yes, this car is amazing! Hi Tom. Will do so right now. We are a small blog, and building links to VW South Africa, who at this stage, don’t recognise us. I have to therefore rely on data I get straight from our dealers in South Africa. They have called this the Oettinger LR400 – which also pushes out exactly 294 KW. I will amend and update accordingly. Thanks for the feedback. Nothing in KZN for now. You will have to call the team at Lindsay Saker Edenvale. The contact details are on the blog. Oettinger is only available through Lindsay Saker, and Oettinger in Johannesburg. 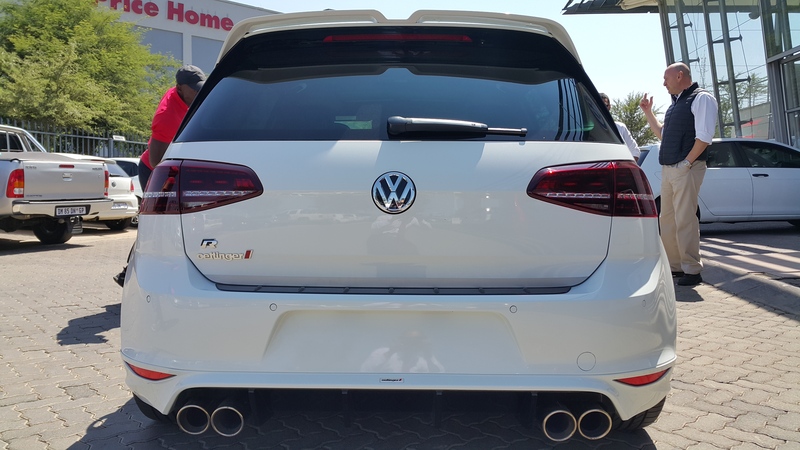 How much is the Golf7 gti oettinger? Where can I order and test drive? experience the unbelievable rush a Golf 7 GTI Oettinger edition gives !! Cant wait to one day tell my grandkids,”drove it?? i bloody well owned it”. We love this dealer like Family. Fabio is a big man but he still.gives us a hug when we go in. Karen is very good and helped everyone we referred from this blog to now. Hope you buy this car at some point. Amazing to drive!!!! Well look at that. Ive always dealt with them because of convenience and of course I live in the vacinity. Well let’s see ☺️ My heart is on the Rs3. I’m so amply awaiting a review from you on Audi.